We received alot of great entries but could only choose a few. In first place is Callie Brown as the UPS delivery cat. Second place is Piper Wiegand as The Little Mermaid and the third place winner is Penny Wiegand as Penny Long Stocking. Callie wins 75 “Kingsbrook” dollars to be used for products or services at Kingsbrook Animal Hospital. Piper and Penny win 50 and 25 “Kingsbrook” dollars respectively. 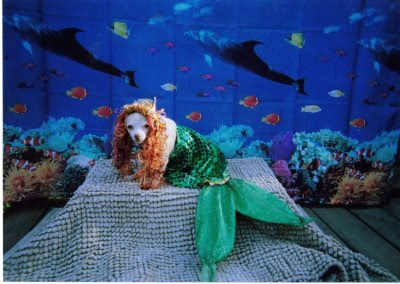 Have a Safe and Happy Howl-O-Ween!!! 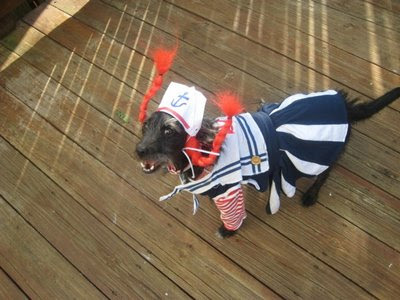 This entry was posted in Costume Contest, Howl-O-Ween on October 30, 2008 by yourfriends. An Israeli city is using DNA analysis of dog droppings to reward pet owners who clean up after their pets and punish those who don’t. A six-month trial program launched this week, in the city of Petah Tikva, to tackle the dog mess problem in a high tech way. 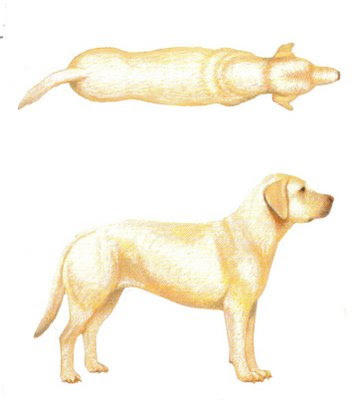 The program asks dog owners to take their pets to a veterinarian, who then swabs its mouth and collects DNA. The city will use the DNA database it is building to match droppings to a dog and identify its owner. Owners who scoop up their dogs’ droppings and place them in specially marked bins will be eligible for rewards of pet food coupons and dog toys. 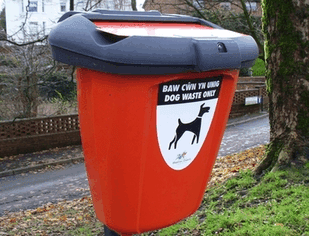 Those who leave the poo on the street face fines. I wonder what sin you had to commit in a previous life to find yourself the official dog poop examiner of Petah Tikva, Israel. This entry was posted in DNA, Dog Poop on October 29, 2008 by yourfriends. FOR IMMEDIATE RELEASE — FRANKLIN, Tenn. – October 27, 2008 – Mars Petcare US today announced a voluntary recall of a limited number of bags of SPECIAL KITTY® Gourmet Blend dry cat food sold at Wal-Mart locations in Connecticut, Delaware, Massachusetts, Maryland, Maine, North Carolina, New Hampshire, New Jersey, New York, Ohio, Pennsylvania, Rhode Island, Virginia, Vermont, and West Virginia. 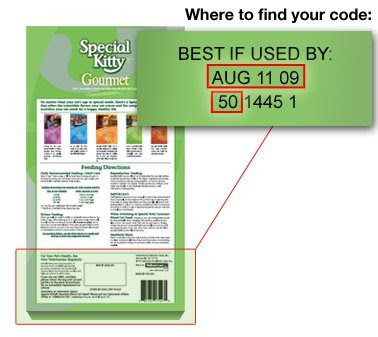 The pet food is being voluntarily recalled following a positive test result indicating a potential contamination with Salmonella. This product should not be sold or fed to pets. Pet owners should dispose of product in a safe manner (example, a securely covered trash receptacle) and return the empty bag to the store where purchased for a full refund. Pets with Salmonella infections may be lethargic and have diarrhea or bloody diarrhea, fever, and vomiting. Some pets will have only decreased appetite, fever and abdominal pain. Animals can be carriers with no visible symptoms and potentially infect other animals or humans. If your pet has consumed the recalled product and has these symptoms, please contact your veterinarian. There have been no complaints or reports of illness resulting from consumption or handling of the recalled product. Pet owners who have questions about the recall should call 1-877-568-4463 or visit www.petcare.mars.com. UPC Code: UPC code numbers can be found directly underneath the bar code on the package. Please find recalled pet food UPC information below. Affected Stores: Wal-Mart locations in Connecticut, Delaware, Massachusetts, Maryland, Maine, North Carolina, New Hampshire, New Jersey, New York, Ohio, Pennsylvania, Rhode Island, Virginia, Vermont, and West Virginia. This entry was posted in Recall, Special Kitty, Walmart on October 28, 2008 by yourfriends. Between October 31 and November 6, drop off your left-over halloween candy at our office and we will have it sent to our troops who are stationed overseas. Thank you for supporting our brave men and women who are serving in the Armed Services. This entry was posted in armed forces, halloween Candy Drive, troops on October 26, 2008 by yourfriends. We would like to welcome the newest member of the Kingsbrook family, Jacob Coady Davis. Dr. Davis’ son was born on Tuesday, October 21st. Mom, dad and baby Jacob are all doing well. Jacob weighed in at 8 lbs. 3oz. and is 21 inches long. This entry was posted in Jacob, Morse on October 25, 2008 by yourfriends. Nearly 35% of cats and dogs are overweight. Is yours?? Early warning signs can include weakness, increased thirst, frequent urination, unexplained weight loss, depression or abdominal pain. Signs can include behavioral changes, limping, stiffness or difficulty climbing stairs. Signs can include coughing, lethargy, difficulty breathing, intolerance to exercise, loss of appetite or unexplained weight loss. As there are no visable warning signs, regular checkups are recommended. Early signs include unkempt haircoat. Look for repeated itching and scratching. If you think your pet may be overweight, call us at 301-631-6900 to schedule a FREE weight consultation with one of our registered technicians. 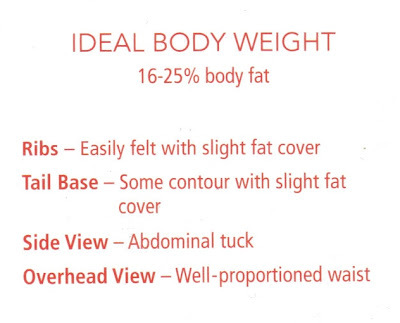 This entry was posted in Obesity, Weight Consultation on October 23, 2008 by yourfriends. Each year many kittens are separated from their mothers before weaning. Because cats are naturally elusive and industrious creatures, a mother cat outdoors can make use of any quiet, secluded spot to raise her kittens, like under a porch or in a window well. If the mother cat is unsociable, she may be frightened away by people, sometimes moving some kittens and leaving others behind or just fleeing the area for a short time. Mom will also leave to hunt and find other sources of food (like garbage cans). 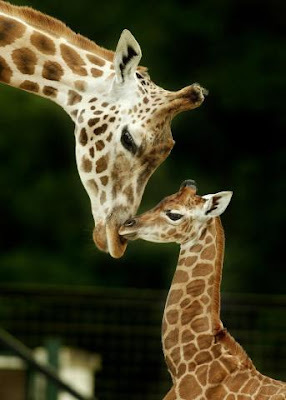 All too often, mom is hit by a car or attacked by another animal, separating her from the babies. It may be hard to tell if the mother cat is still caring for the babies and without warmth and food, kittens can die in a short time. Orphaned kittens need lots of TLC. They usually only weigh about 4 or 5 oz at birth and their eyes and ears are closed for the first 2 weeks of life. They need to be fed every 2-4 hours around-the-clock, depending on their age and health. Kittens should only be fed kitten milk replacer (a brand name is KMR) to provide adequate nutrition (cats are lactose intolerant and should never be fed cow’s milk). Keeping them warm is also very important, just like with newborn humans. Of course, babies should be held and petted frequently so they become socially bonded with people, especially if their mother was feral. Kittens should be dewormed several times, starting at 2-3 weeks of age. Around 5-6 weeks old, kittens can be weaned onto soft food or “gruel” (a mixture of moistened kitten food and milk replacer). They can receive their first vaccinations at 6 weeks to ensure they develop proper immunity to disease. 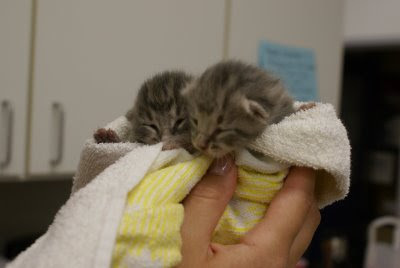 “Hansel and Gretel” were found by a client of Kingsbrook Veterinary Hospital and are estimated to be around 10 days old, with an approximate birthday of September 6, 2008. They will be ready for their new homes in about 6 weeks, ask for Jen if you are interested in providing one (or both) with a forever home! This entry was posted in Orphaned Kittens on October 20, 2008 by yourfriends. Above: Otis models his Halloween colored soft paws nail caps. Scratching is a cat behavior that some pet owners find offensive. Especially when it results in the destruction of furnishings, drapes, carpet and other household valuables. 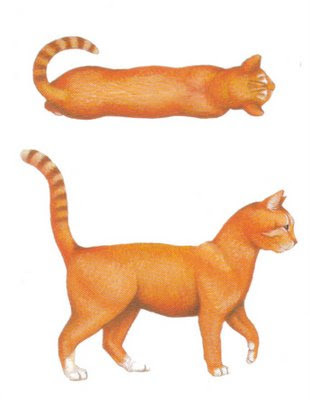 Scratching is a natural instinct that cats should be able to exercise in one way or another. We at Kingsbrook Animal Hospital advocate offering your cat a variety of scratching surfaces such as corrugated cardboard and posts that offer different textures of carpet as well as sisal rope. For those cats who still have a tendency to go to things that their owners don’t want them to scratch, Otis is modeling softpaws. Softpaws are a safe and painless remedy to the scratching problems experienced by some cat owners. They are a soft rubber nail cap that is glued to the nails. The cat is still able to exercise their claws but the sharp tip of the nail is covered to eliminate any damage to fabrics and other surfaces. Otis was recently adopted from Frederick County Animal Control along with a young adult cat named Bentley who is wearing Halloween color soft paws as well. If anyone has questions about where to acquire and how to apply softpaws please call the clinic any time or visit www.softpaws.com. This entry was posted in Otis, Soft Paws on October 17, 2008 by yourfriends. This entry was posted in Tidbits on October 14, 2008 by yourfriends. One of our new clients, Suzanne Bloom, is opening her own business. Gibbons Rock Studio offers custom pet portraits from your photograph. Visit her website (www.gibbonsrock.com)to view samples of her work, get pricing information and tips on how to best photograph your pet. Suzanne will also be offering wildlife postcards and custom framing. 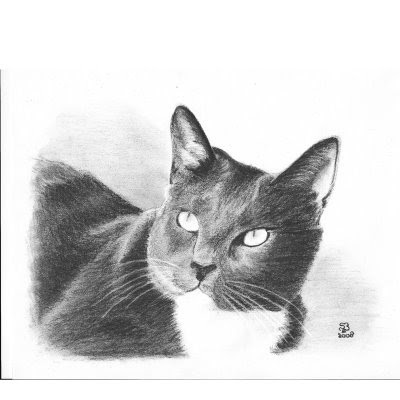 This entry was posted in Pet Portraits, Suzanne Bloom on October 11, 2008 by yourfriends.